Sitali L, Miller JM, Mwenda MC, Bridges DJ, Hawela MB, Hamainza B, Chizema-Kawesha E, Eisele TP, Chipeta J, Lindtjørn B: Distribution of Plasmodium species and assessment of performance of diagnostic tools used during a malaria survey in Southern and Western Provinces of Zambia. Malaria Journal 2019, 18:130. Background Zambia continues to make strides in reducing malaria burden through the use of proven malaria interventions and has recently pledged to eliminate malaria by 2021. Case management services have been scaled up at community level with rapid diagnostic tests (RDTs) providing antigen-based detection of falciparum malaria only. Key to national malaria elimination goals is the ability to identify, treat and eliminate all Plasmodium species. This study sought to determine the distribution of non-falciparum malaria and assess the performance of diagnostic tests for Plasmodium falciparum in Western and Southern Provinces of Zambia, two provinces planned for early malaria elimination. Methods A sub-set of individuals’ data and samples from a cross-sectional household survey, conducted during peak malaria transmission season in April and May 2017, was used. The survey collected socio-demographic information on household members and coverage of malaria interventions. Malaria testing was done on respondents of all ages using blood smears and RDTs while dried blood spots were collected on filter papers for analysis using photo-induced electron transfer polymerase chain reaction (PET-PCR). Slides were stained using Giemsa stain and examined by microscopy for malaria parasites. Results From the 1567 individuals included, the overall prevalence of malaria was 19.4% (CI 17.5–21.4) by PCR, 19.3% (CI 17.4–21.4) by RDT and 12.9% (CI 11.3–14.7) by microscopy. Using PET-PCR as the gold standard, RDTs showed a sensitivity of 75.7% (CI 70.4–80.4) and specificity of 94.2% (CI 92.8–95.4). The positive predictive value (PPV) was 75.9% (CI 70.7–80.6) and negative predictive value (NPV) was 94.1% (CI 92.1–95.4). In contrast, microscopy for sensitivity, specificity, PPV, and NPV values were 56.9% (CI 51.1–62.5), 97.7% (CI 96.7–98.5), 85.6% (CI 80.0–90.2), 90.4% (CI 88.7–91.9), respectively. Non-falciparum infections were found only in Western Province, where 11.6% of P. falciparum infections were co-infections with Plasmodium ovale or Plasmodium malariae. Conclusion From the sub-set of survey data analysed, non-falciparum species are present and occurred as mixed infections. As expected, PET-PCR was slightly more sensitive than both malaria RDTs and microscopy to detecting malaria infections. Dangisso MH, Woldesemayat EM, Datiko DG, Lindtjorn B. Long-term outcome of smear-positive tuberculosis patients after initiation and completion of treatment: A ten-year retrospective cohort study. PLoS One. 2018;13(3):e0193396. Epub 2018/03/13. doi: 10.1371/journal.pone.0193396. PubMed PMID: 29529036; PubMed Central PMCID: PMCPMC5846790. Background: The status of tuberculosis (TB) patients since initiation of treatment is unknown in South Ethiopia. The objective of this study was to assess the long-term outcomes of smear-positive TB patients since initiation and completion of treatment, which includes TB recurrence and mortality of TB patients. Methods: We did a retrospective cohort study on 2,272 smear-positive TB patients who initiated treatment for TB from September 1, 2002-October 10, 2012 in health facilities in Dale district and Yirgalem town administration. We followed them from the date of start of treatment to either the date of interview or date of death. Results: Recurrence rate of TB was 15.2 per 1000 person-years. Recurrence was higher for re-treatment cases (adjusted hazard ratio (aHR), 2.7; 95% CI, 1.4-5.3). Mortality rate of TB patients was 27.1 per 1,000 person-years. The risk was high for patients above 34 years of age (aHR, 2.1; 95% CI, 1.2-3.9), poor patients (aHR, 1.3; 95% CI, 1.0-1.8), patients with poor treatment outcomes (aHR, 6.7; 95% CI, 5.1-8.9) and for patients treated at least 3 times (aHR 4.8; 95% CI, 2.1-11.1). The excess mortality occurred among patients aged above 34 years was high (41.2/1000 person years). Conclusions: High TB recurrence and death of TB patients was observed among our study participants. Follow-up of TB patients with the risk factors and managing them could reduce the TB burden. 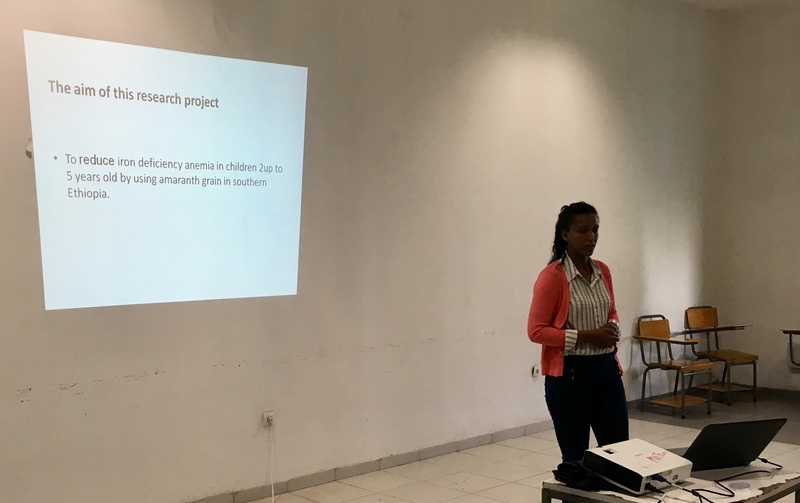 On Thursday April 25, seven PhD students admitted to the joint PhD degree programme between the Hawassa University and the University of Bergen, had their mid-way evaluations. Evaluators were senior staff from both Hawassa University and the University of Bergen. 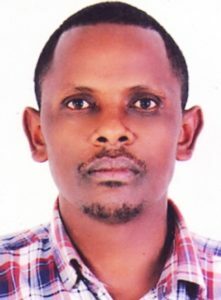 On May 30th, 2013, Adugna Woyessa defended his PhD thesis at Addis Ababa University. 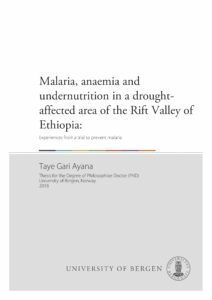 The PhD thesis The epidemiology of highland malaria in Ethiopia: a study from Butajira area aims to describe human malaria transmission in rural south central Ethiopian highlands. Background:In Ethiopia, malaria is a major public health problem with seasonal and unstable distribution. Because of the country’s diverse topography and climate, transmission of malaria varies with space and time; while the variability is more pronounced in highlands with low transmission. This calls for better understanding of malaria. However, there is paucity of information on magnitudeof malaria, risk factors, effective use of vector control measures such as insecticide-treated nets in relationship with malaria infection and performance of multi-species detecting malaria rapid diagnostic tests (RDTs) where Plasmodium falciparum and Plasmodium vivax co-exist at highlands of low-endemicity. Objectives:To describe the epidemiology of highland malaria with emphasis to the magnitude and associated factors as well as interventions in various altitudesof Butajira area, south-central Ethiopia. METHODS: Community-based repeated cross-sectional studies were conducted in six rural kebeles of Meskan and Mareko Districts from October 2008 to June 2010in Butajira area, Ethiopia. The kebeles (Hobe, Bati Lejano, Dirama, Shershera Bido, Yeteker and Wurib) were selected in such a way that two were from one altitudinal stratum thus making a total of three strata: low (1,800-1,899 meters above sea level), mid-level (1,900-1,999 meters above sea level), and high (2,000-2,300 meters above sea level) altitudes. These kebeles are part of Demographic Surveillance System Site of the Butajira Rural Health Program). A multi-stage sampling method was used to recruit study participants. 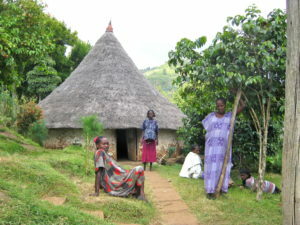 The various stages were kebeles as first-stage, villages as second-stage, and households as third-stage units. A total of 3,393 individuals were recruited from randomly sampled 750 households in 16 villages. Probability proportion to size sampling method was applied to allocate the number of households to be sampled from each kebeleand village. The study obtained data from household interview, survey and recruiting all self-reported febrile cases. Household interview was undertaken by trained data collectors using pre-tested structured questionnaire. Household altitude reading and geo-reference was recorded from geographical positioning system location. Seasonal blood surveys were made on quarterly basis between Oct. 2008 and Jun. 2010. From the sampled households, all family members who consented to participate were requested for blood films. Besides, self-reported febrile cases were simultaneously checked for malaria infection using RDTs. CareStartTMMalaria Plasmodium falciparum/ Plasmodium vivax combo test result was compared with microscopy. Analytical tools including descriptive statistics, multilevel analysis, principal component analysis, and complex sample analysis were employed. Main findings: The unadjusted prevalence of malaria was found to be 0.93 % [95% CI 0.79-1.07]; of 19, 207 people, 178 were positive; adjusted prevalence of malaria was estimated at 0.78 (95% CI: 0.48-1.29); of 19, 199 people, 178 were positive. Plasmodium vivax was dominant (86.5%, n=154) and the rest of the cases were due to Plasmodium falciparum (12.4%, n=22, seven with gametocyte) and mixed infections (1.1%, n=2).The prevalence varied among villages with the highest prevalence of 2.8% in Dadesso and Horosso villages (both <1,850 masl), and the lowest prevalence of 0.0% in Sunke Wenz and Akababi village (2,100-2,180 masl). Malaria prevalence decreased with altitude: 1.91% [95% CI (1.55-2.27)] in low, 1.37% [95% CI (0.87-1.87)] in mid-level and 0.36% [95% CI (0.25-0.47)] in high altitude zones; the highest prevalence was found at low altitude between October and November 2009. Moreover, malaria varied among age groups and the variation was different at different at altitudes. It reached its peak in children aged one to four yearsYonkers at mid-level and one to nine years at low altitudes. However, its prevalence at higher altitude was low and was similar across all age groups. Plasmodium falciparum malaria occurred rarely throughout the survey periods, with relatively more cases in October-November 2009 in the low altitude zone. Plasmodium vivax was found in all survey periods. However, its prevalence differed with respect to survey period and altitude. Variables like age (children aged below five and 5-9 years), altitude (low and mid-level altitude), and in houses with holes as individual-level factors; and village-level variables explained most of the variation (ICC= 94%) in individual malaria infection. The estimates of village-level variances showed well marked differences in malaria infection. Only 28.5% [95%CI 25.8-31.4] of the 739 households surveyed owned at least an ITN. Household ITN ownership was associated with household heads with no formal education, male-headed households, more beds in the house, absence of mosquito source reduction, and nonexistence of main water body. Male-headed households were also more associated with increased ITN ownership than female-headed ones. Households with ITN observed hanging, two and more number of ITN owned, not doing source reduction and less than a kilometredistance from main water body showed high association with use of ITN while the presence of more ITN observed hanging was a good predictor. Higher prevalence was found among people surveyed from ITN-owning than non-ITN-owning households (2.1% versus 0.5%). Malaria infection was more often observed in households owning at least an ITN than in their counterparts (unadjusted OR 4.1 [95% C.I. 2.2-7.6]; F (1, 22) =25.2, P<0.001). Data obtained from a total of 2,394 self-reported febrile cases: 66.8% (n=1,598) from health facilities and the rest 33.2% (n=796) from surveys. Higher proportionof Plasmodium positives and both Plasmodium falciparum and Plasmodium vivaxwere detected at health facilities compared to what was seen in the survey. However, more mixed infections were observed in the latter. Low sensitivity of the test was observed in all Plasmodium species (90.8%, 95% CI: 82.9-95.3), and Plasmodium falciparum (87.5%, 52.9-97.8) in survey; and Plasmodium vivax (92.8%, 95% CI: 89.3-95.2) at health facilities. Low specificity of Plasmodium vivax (87.5%, 95% CI: 52.9-97.8) was found at the survey and all Plasmodium species (82.7%, 95% CI: 80.5-84.8) at health facilities. Very low PPV was detected in all Plasmodium species (76.7%, 95% CI: 67.7-83.8), and Plasmodium falciparum (87.5%, 95% CI: 52.9-97.8) at the survey and all Plasmodium species (64.3%, 95% CI: 60.5-68.1) and Plasmodium falciparum (77.2%, 95% CI: 67.6-84.5) at health facilities. Low NPV was observed in Plasmodium vivax both in the survey (87.5%, 95% CI: 52.9-97.8) and health facilities (77.2: 67.6-84.5).The measure of agreement or kappa score was almost perfect agreement in all categories, except in all Plasmodium species with substantial agreement. Conclusions and recommendations: This thesis demonstrates that low prevalence of malaria with age and altitude dependent distribution was found in highlands with low transmission in south-central Ethiopia. Plasmodium vivax was the dominant species more prevalent throughout the survey. There was very low ITN use that might have also hardly protected children in ITN-owning households. Performance of malaria RDT detecting Plasmodium falciparum and Plasmodium vivax vary between health facility-based and survey setting for both species. A malaria intervention that prioritises children below 10 years appears to be practically feasible to reduce malaria transmission. Strengthening surveillance to help in evidence-informed decision of vector control is recommendable. Furthermore, future studies should target designing more frequent survey and application of PCR for evaluation of RDT performance. Woyessa A, Deressa W, Ali A, Lindtjorn B. Ownership and use of long-lasting insecticidal nets for malaria prevention in Butajira area, south-central Ethiopia: complex samples data analysis. BMC public health 2014; 14: 99. The full-text thesis can be downloaded here.